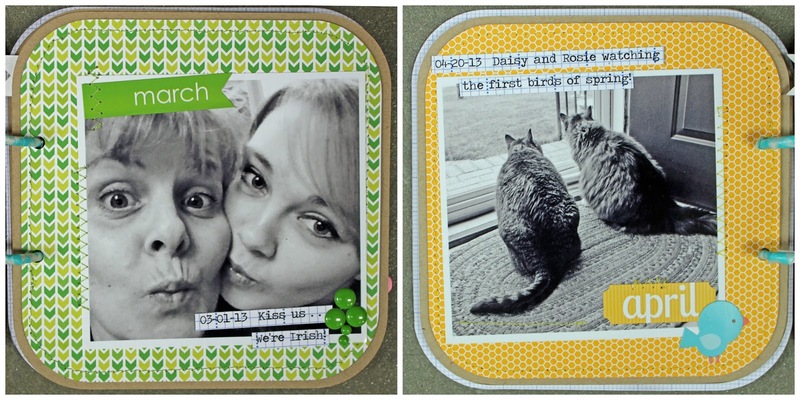 Hi Everyone... it's Kathy today with a fun mini album I created using Doodlebug's new Kraft in Color collection. I think this just might be one of my all time FAVORITE collections! 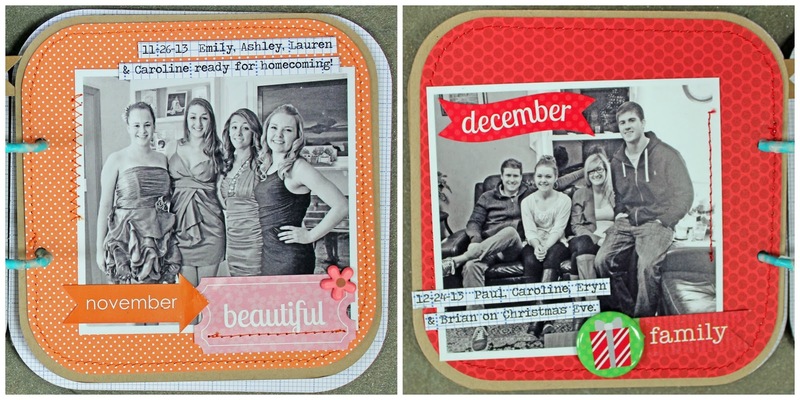 I've always been a fan of Kraft and mixing that with Doodlebug's bright and cheery colors is just pure genius! 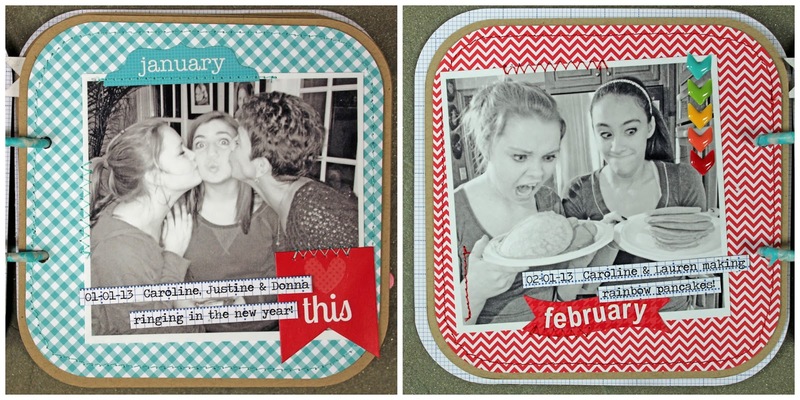 Add in the yummy washi tapes, vellum and sequins....I'm swooning! The lenses were created using some Lily White Sprinkles Vellum and a couple of mini jewels. 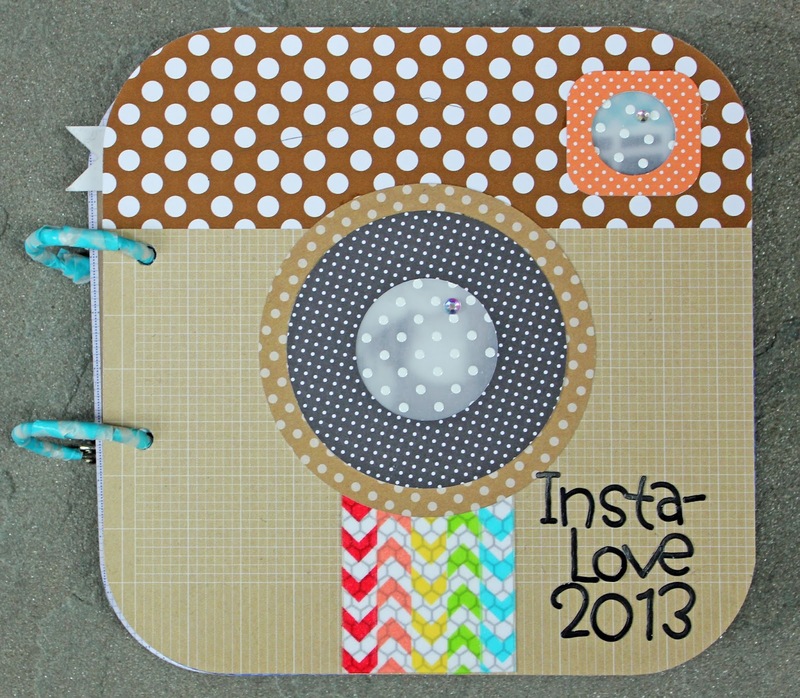 I made the rainbow portion of the camera using some of the washi tapes from the new Chevron Washi Assortment. I love the thin washi! Now for the hard part...picking just one picture to represent each month! All of the background papers were taken from the Kraft in Color 6x6 pads. 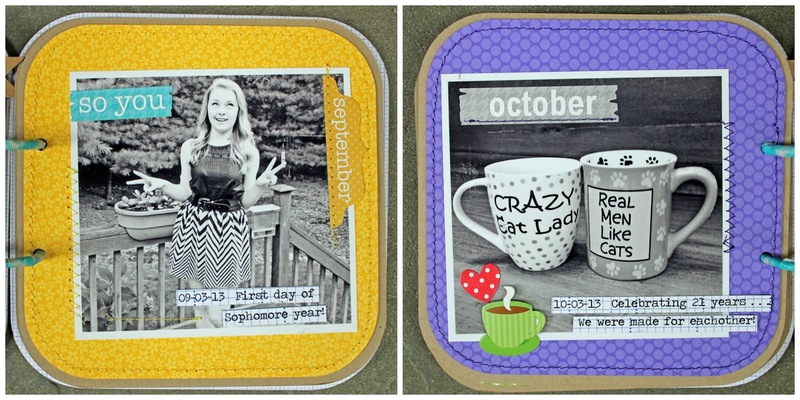 I mixed them with some stickers and elements from a few other collections including Take Note and Flowerpot. I love the new Arrows Sprinkles....they're awesome!! All of my journaling was printed on the grid side of the Blue Jean Chevron/Grid Paper. 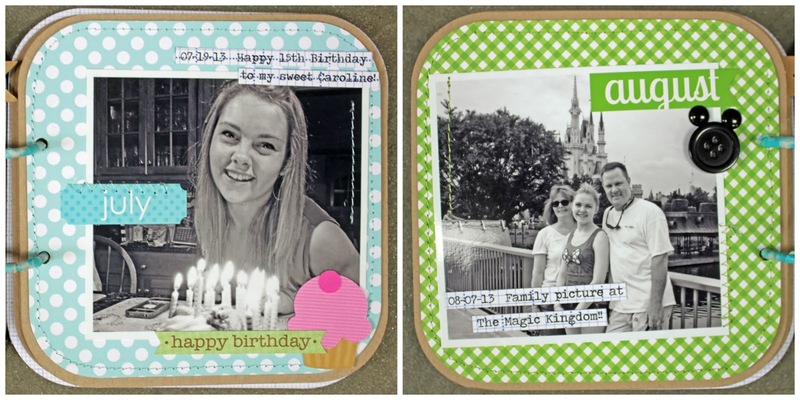 This is so cute, so fun, and so creative, Kathy! I love it! I love this! What a great album! Thanks for sharing this, Kathy! This is so cool!! What a fabulous mini album!! Love it - Kathy, you did such a fabulous job!! So precious Kathy!! Brilliant idea and so inspiring! I love the bright colors of the paper on your pages, Too cute!!! I <3 it. thanks for sharing. This is INCREDIBLY cute - I love it! Gorgeous album Kathy!! and those photos are too funny ... love the one of your cats! Such an awesome mini, love all of the details! Love all of your pics too, thanks for sharing! 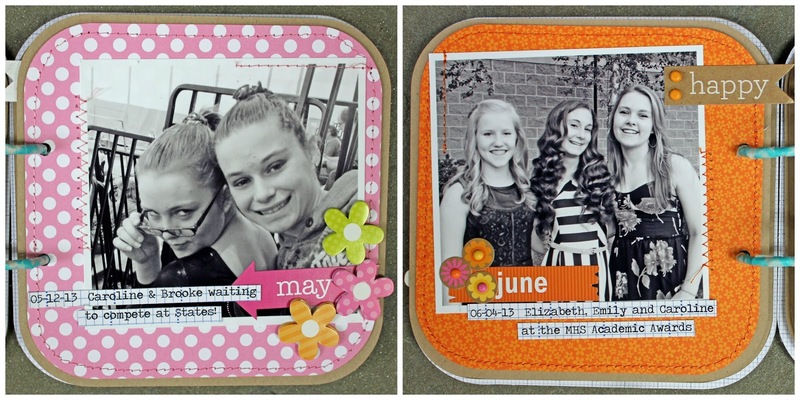 This might be a stupid question but I don't do a lot of scrapbooking! What did you use for the foundation of the pages themselves? Was it just cardboard? No stupid questions!! For the front and back covers I used some thin chipboard and covered them with the patterned papers. For the inside pages I used pieces of cardstock as the base. Hope this helps!!! Super awesome!!! Would love to create one just like it! Only problem, not sure if I could pick just one photo per month... But you sure having given me inspiration! I love that SVG file you used from SVG Cuts!